I used to write a Blog fairly regularly, and I looked up the other day and noticed it had been three years since I last did a posting. Time seems to go by faster these days, but I’m going to try and do better about posting. I’ve done some good work on fitting various riders and helping them achieve their results; I’ve continued to develop several new products for myself along with some new helmets for Rudy Project. When I last did a posting, I was racing triathlons a good bit and training a lot, since then I have torn both of my Rotator Cuffs and had surgeries on both, went through rehabs, and now I can’t swim at all. I do continue to eat well, so there is that but bike riding is painful on my shoulders but running seems to work ok.
Back in 1939, my father bought a new Packard automobile, and it has stayed with our family all these years. It had deteriorated pretty much the last few years he was with us, so I decided to restore the car. This turned into a much larger project than I had envisioned at the time but I can see that it might just get finished here in the next few months. Once I brought the car to Tyler I began the task, I have learned a lot of techniques on painting and wood graining, sanding and painting the body, sewing the interior, rebuilding the motor and all of the suspension, I have spent a lot of hours on this but it seems to help me relax some now that I can’t swim or bike very well. I still occasionally travel to China/ Taiwan for business, but now I have developed a Skype office setup, and I get a whole lot of my work done without having to make a 30-hour plane ride. This new computer technology seems to be catching on so I blame Al Gore for these issues, I’ll continue to learn and work on that. As we are speaking of computer technology, learning more about training with Power Meters has been interesting, learning more about how coaches use this [or don’t] is interesting and recognizing how much the “coaching business” has blown up in the last several years is very interesting to me. I’ve given a few talks at some conferences about coaching and the business of triathlon, the sport is changing, the racers, both age groupers and Pro’s are still fun to be with even when you are not able to race with them. I’ll post again soon and get more specific on just all the fun I am having. I waited to see if the end was really coming on Friday, I hated to waste all of this time typing and then have it go to waste. I have been traveling a lot over the last two months but one of my stops was in Italy. 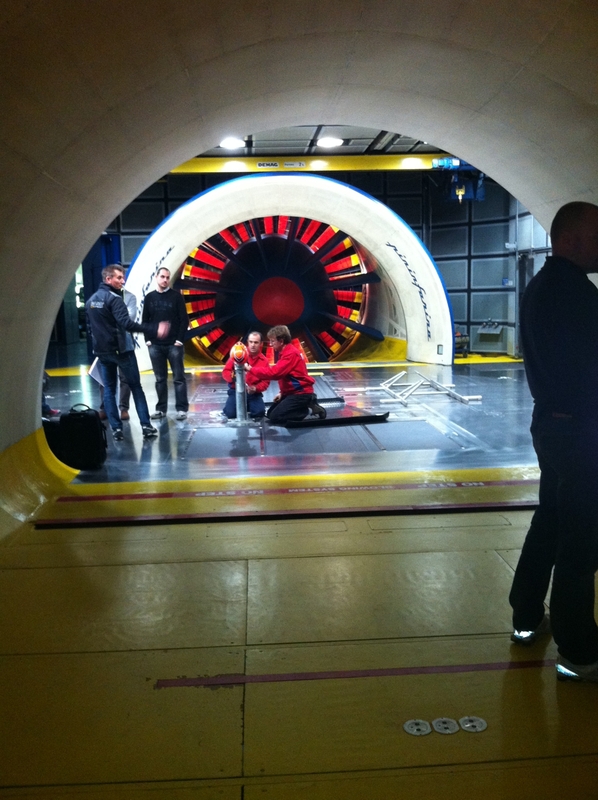 I was there working an a new project and I got to test in the Pinafarini wind tunnel on Torino. It was a very nice facility and everyone treated me extremely nice, we tested for two days and hopefully I learned some things. I was home for 4 days before I left to go to the Texas A&M tunnel for a day of testing, it was fun as usual. The engineers at A&M have installed a new 3000 HP, variable speed motor and it has completely transformed the testing there. It is whisper quiet now, literally when you are testing you can stand by the rider and just talk to them, no yelling, no hand signals, just have a conversation and get on with the test. It was so great, it truly has made testing there a whole new experience. Oh and by the way, I was working on this Superman position for triathlon and it was interesting to see that it still works pretty good, rather damn good really. The only problem, other than needing a little core strength, is that 2cm of height can absolutely make or break this setup. When it’s right it’s fast but if it’s off it is not worth trying, so if you want to try it, schedule some tunnel time and work on your core strength. 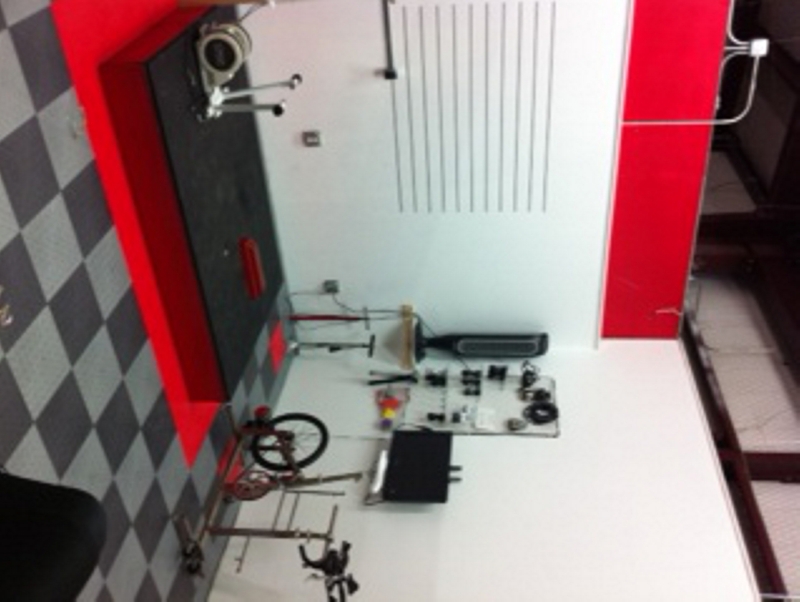 Many of you that read this Blog also do bike fittings from time to time. 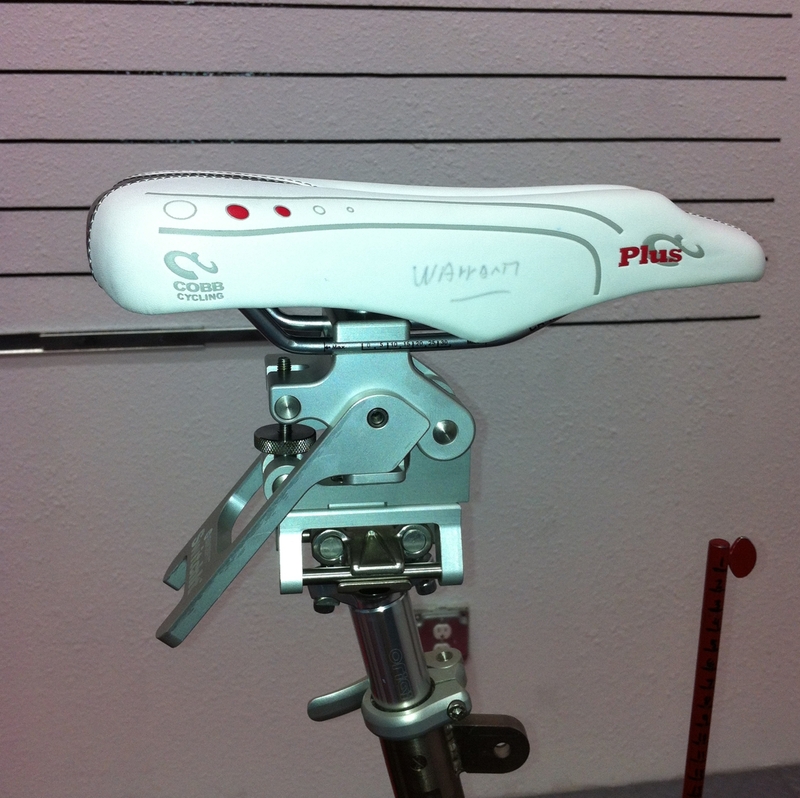 Paul Swift from bikefit.com developed a nifty tool that makes changing out saddles and adjusting them a snap. He was kind enough to send me one to test out and I must say it has been great to have. I built my own fit bike based on an old Serotta fit bike and adding the seat switcher to the bike was very easy. Now when doing a positioning on a rider, you are hesitant to start swapping saddles around, it takes a simple flick of a lever and it’s done. I’m really thinking about taking my fit bike to the wind tunnel on my next trip, I think it could speed up the rider positioning process a lot. 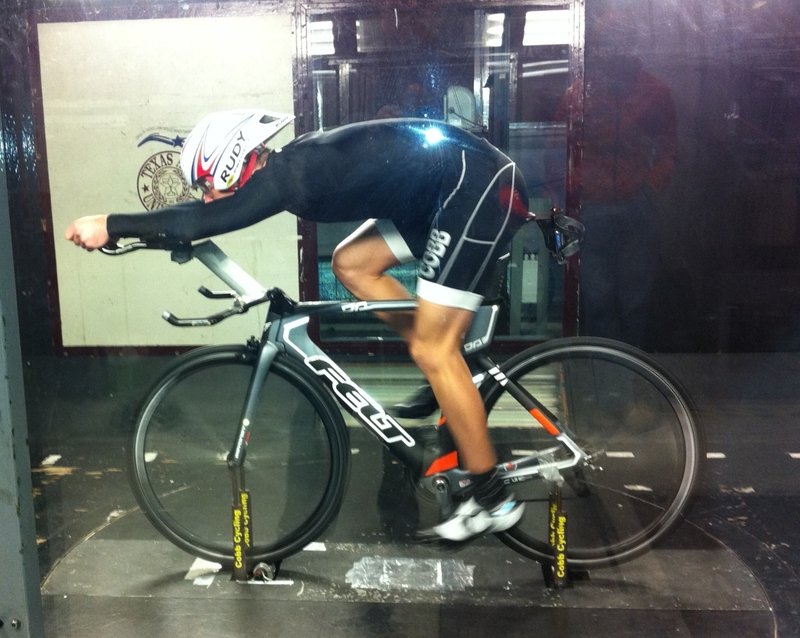 By using the fit bike, you just work on rider position, you won’t be distracted by aero parts not being consistant. Well I hope every one has a Merry Christmas and a Happy, Happy Holiday season, I’ll have more to write about real soon. 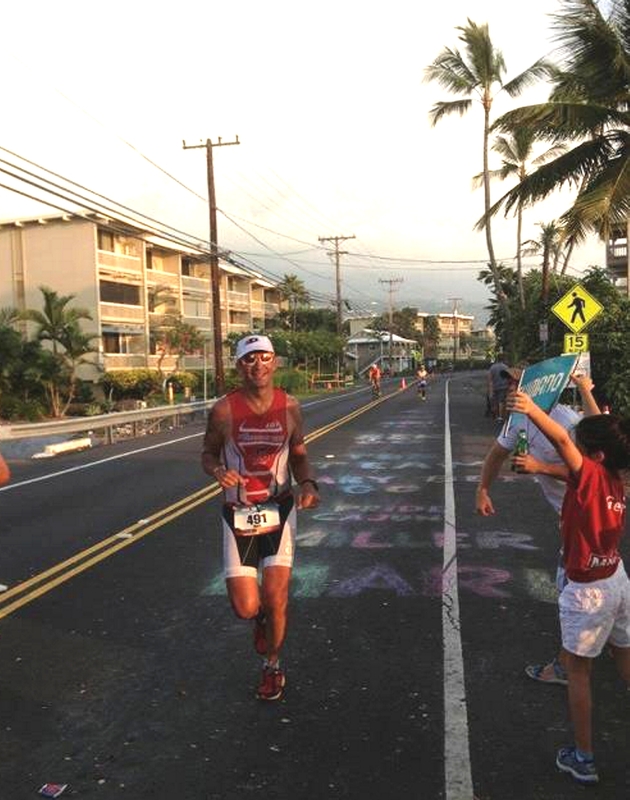 Ginger and I decided to go to Kona this year for the Ironman triathlon, it’s a week long event that takes a lot of energy from you, even as a spectator. I had a lot of friends and sponsored athletes doing the race so I thought it would be fun to join in. We took our bikes and did several good morning rides out on the Queen K.
On Wednesday before the race I went to the Annual Slowtwitch gathering and visited with many of the posters on the “forum” Lot’s of fun and I look to stay longer next year. 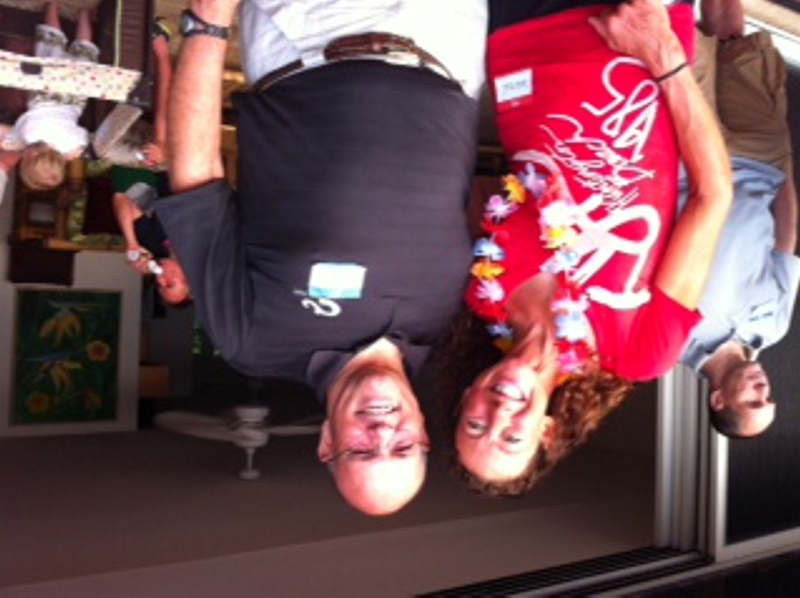 I met Chrissie Wellington there and she was visiting with everyboody, she is a great ambassador for the sport. 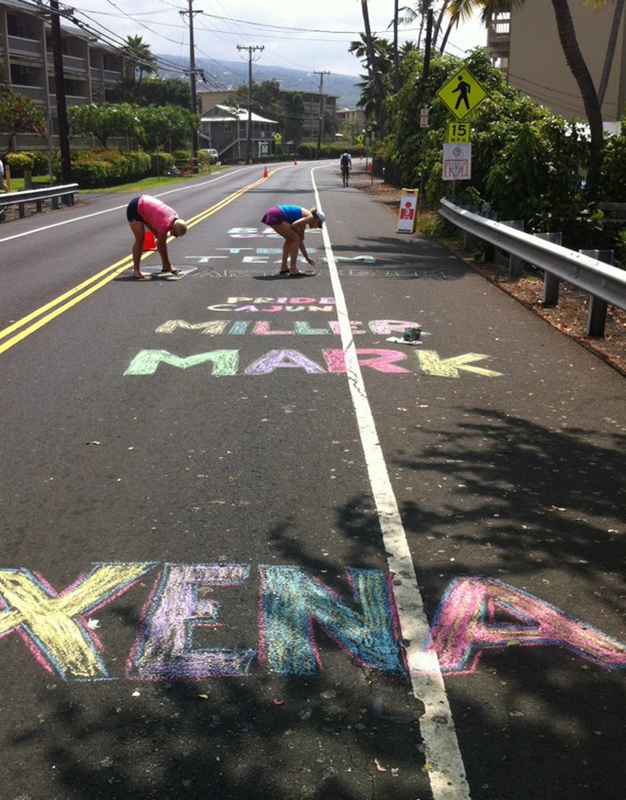 Then it was raceday, you could feel the excitement in the air, we bought sidewalk chalk and made the road in front of our Condo as tacky as possible, lot’s of fun. So the race was on, we cheered for all of our friends and athletes, a very good friend of ours, Mark Miller from Lafayette finally qualified for the race after 17 years so it was big fun having him run by. Mark had brought his family and several friends so they all came to our place for the afternoon, he had a great day. The race was a typical Kona day, it turned very windy and got hot, running through those Lava fields is something special and something I have no interest in doing. Today we had our first ever half Ironman race here in Tyler, a local racer named Steve Ferris decided to put this on, this was a huge undertaking. The race went very well, it was billed as the hardest Half in Texas and after talking to the competitors after the event I believe it lived up to the expectations. I was one of the announcers and our local riders really turned out to do volunteer work , without these supporters we could not have had this race. 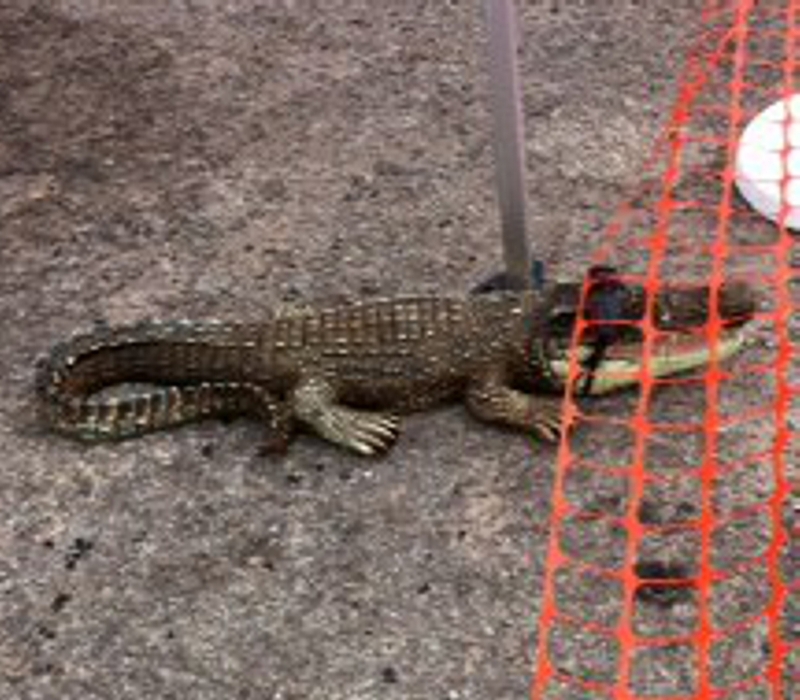 We had one unexpected race volunteer that helped with the swim. So in a few more days I’m on the road again, I’m going to California to work with some athletes, then going from there to Taiwan to start a few new product projects. I should get all of the traveling done just in time to get back for some Turkey. 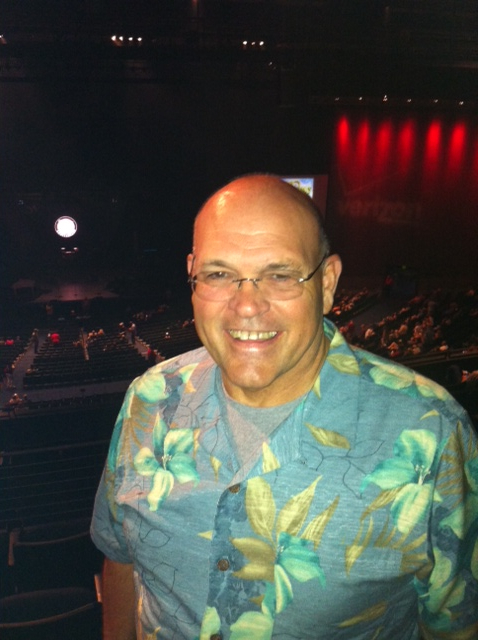 I was reminded that I have not posted in several months on my Blog so I sat down to catch up. The first thing I realized was that the procedures had all changed and I needed to relearn how to post on my Blog. So bare with me as I do this, I have several new things to show you. The first thing is that I had to relearn how to load a photo, I believe I have conquered this. Some of you may remember that I bought a Chevy Volt when they first came out. 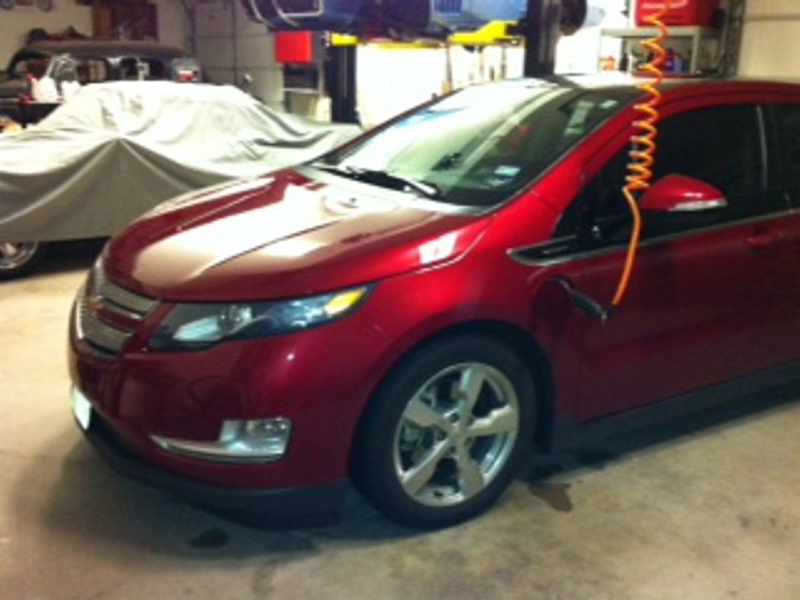 The Volt is an electric car, I have had it for two years and have driven it more than 30,000 miles so far. I LOVE MY VOLT. For me it has been just awesome and my lifetime fuel mileage is 75.6 mpg’s so far. It has been flawless and is a great car on the highway. But on to better things. We have outgrown our office space and have moved the seat business to a larger building. I found a much larger space and decided to build myself a first class fitting area. I haven’t had my own private area with a desk and all of my stuff put out where ever I wanted it for years, so now I have good area for doing some good studies. Because I have been traveling so much I had to really cut back on my fitting schedules but I plan to again take appointments whenever I am in town. The whole world of “fitting” has changed so much in just the last 3-4 years, now, most bike shops have a person on staff that has been to some type of school to learn about fitting. This has been a good thing for the consumer because you are less likely to get injured right off on the bike. It has also changed the need for a base fit for new racers, now, I believe that you need to race for a couple of years and log a couple of thousand miles before you might need my services. I’m still the very best at aerodynamics and solving injuries or finding that championship winning speed but if you just got a new bike and need to get your seat height checked, go to your local fitter and work with them. These days everyone has a power meter and a coach it seems, these are all great training tools that should be looked into. I have some new things that I am working on in that area. 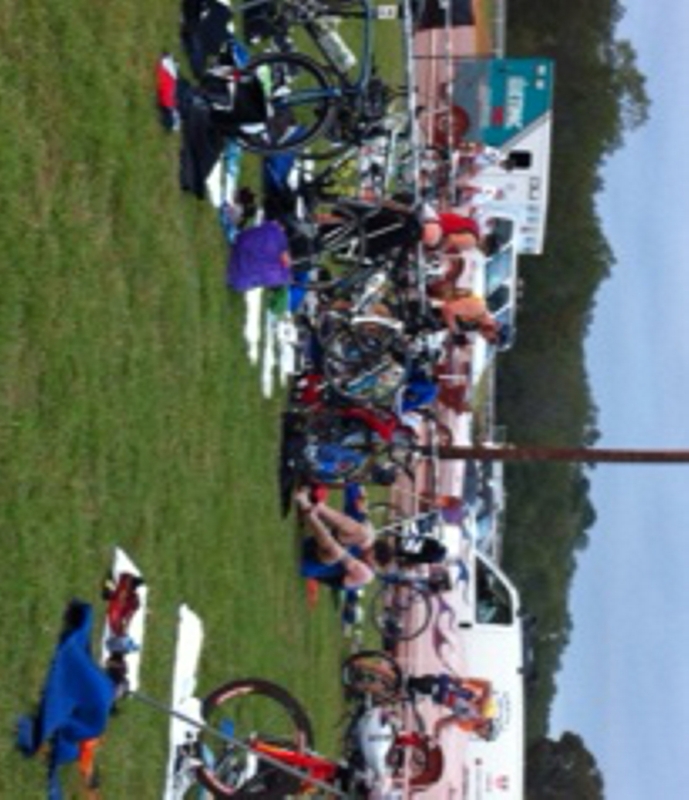 This past weekend Ginger and I went to a triathlon in Kerrville, Tx. it was a very well run event by Jack & Adams in Austin. We were there a day early so Ginger and I went to Fredricksburg which is a big tourist town about 25 miles away. As we wandered along the main street I saw a store that said 5 & Dime, I haven’t been in one of those in over 50 years [scary number] it was just like I remembered it being. 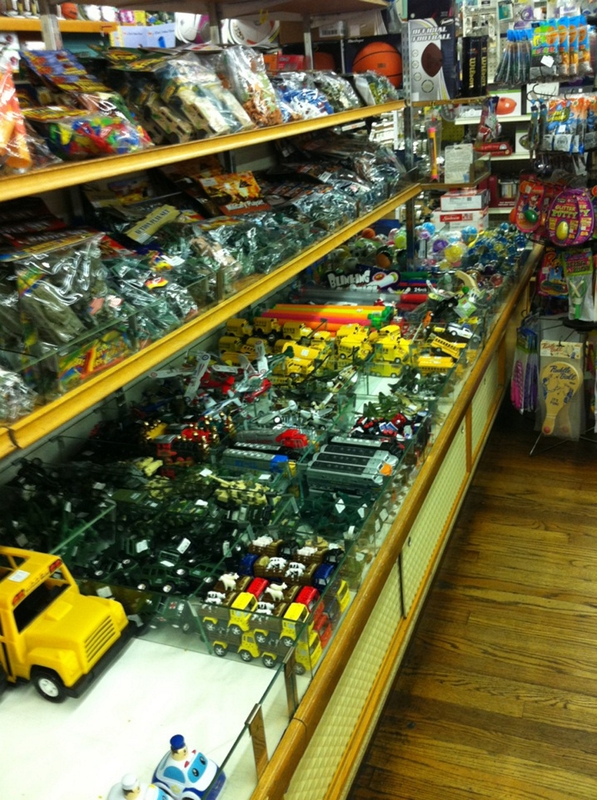 There were toy Army Men, Toy cars, loop weaving kits and not a computer game in sight. It was such a crazy stroll down memory lane, I used to go to the Bayou by my house and catch little turtles and sell them to the local 5& dime for about 2 cents each, this place even had the little turtles!! but now they are plastic and cost 29 cents but still, it was so cool to see all of this stuff. 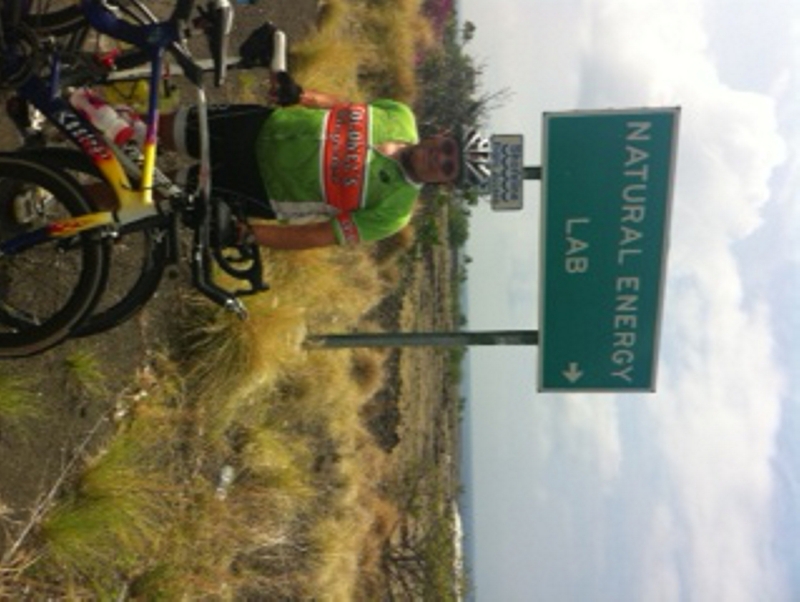 Well back to reality, next week we leave to got to Kona for the Ironman triathlon, I’ll post some pictures soon. When I get back I have some wind tunnel time to burn up testing several new products and theories so that should be fun. And yes, I will do better at posting more regularly. 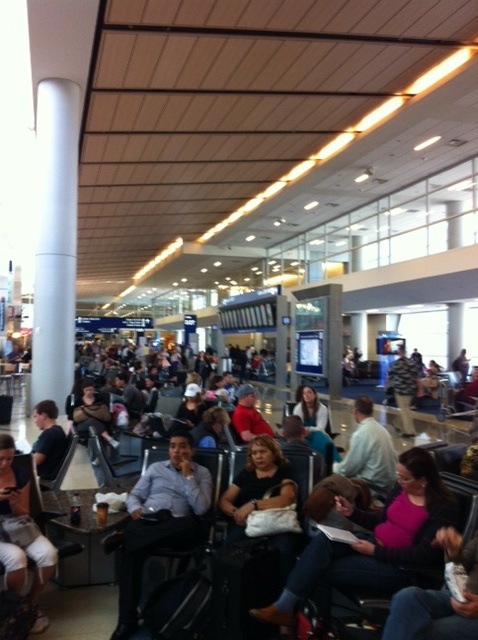 A crowded airport was the start to my overseas venture to Taiwan and The Philippines. I needed to go to Taiwan to make some more progress on a few projects I’m working on, and the Philippines visit was all about the triathlon team Cobb Cycling sponsors, Team TBB, as they were having their yearly training camp here. I just hoped I lucked out and got a seat with some extra recline if you know what I mean. Getting to the airport was step a, and I was definitely going to be making my way to step zzzzz.zzzzz.zzzz.zzzzz within a few hours hopefully, to make the long plane flights more tolerable. But let’s backtrack a second here. 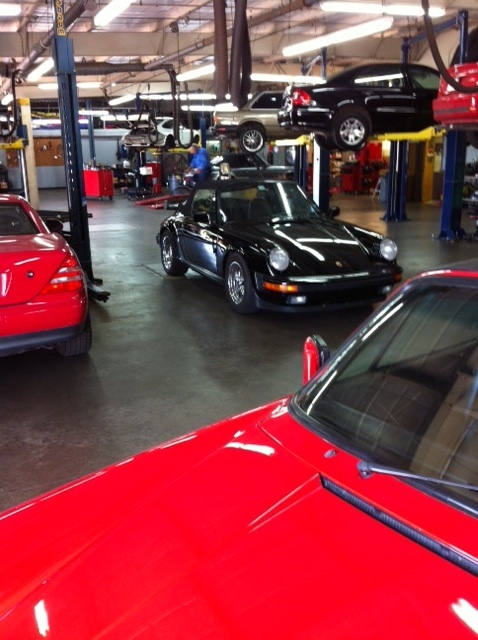 before I went to the DFW airport, I dropped my porsche off to get a new rooftop put on it…you know, style it up a bit. It never sits right in my stomach handing the keys to this car off to some guy I don’t know, but she needed a new hair-do 🙂 Hopefully when I got back from my trip, she’d be looking purdy! 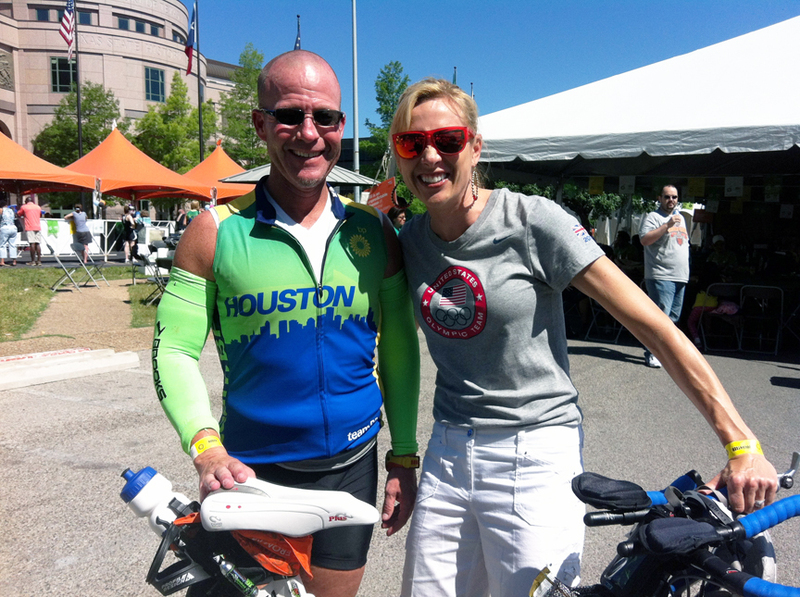 One of my Team USA track athletes, Dotsie Bausch, sent me this photo a few days ago, while she was making an appearance at the BP MS 150 charity ride in Houston and Austin. She was at the finish line cheering riders on when she spotted this man on a PLUS saddle. Dotsie is a prime example of a quality athlete that works hard for both her goals in sport, and her sponsors. Well done, and thank you Dotsie! 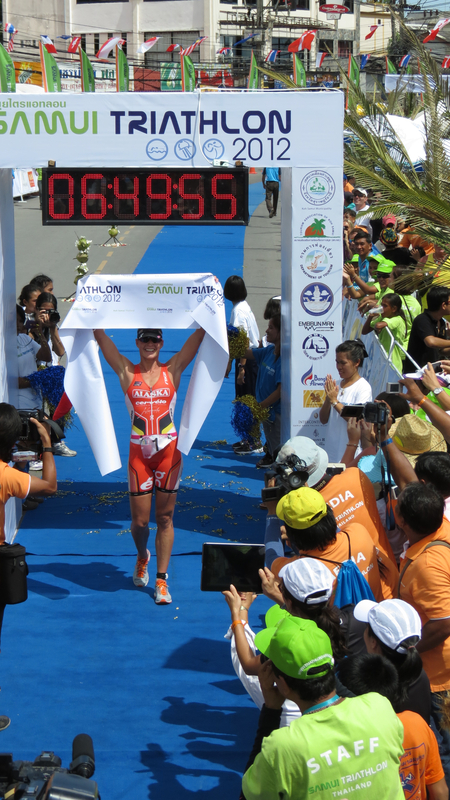 Congratulations to Team TBB members Caroline “XENA” Steffen and David Dellow, for two dominating wins at Koh Samui Triathlon, Thailand!